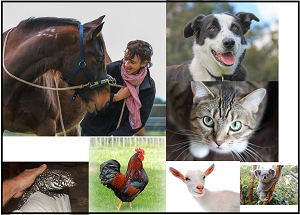 Whether you have a horse or you’re an animal lover looking at the Animal Communication, Happiness or Reiki programs, there are no happy endings to a journey that isn’t filled with happiness along the way – happiness and problem solving with happiness is what we’re about here. This very popular and FREE course is a great place to start. 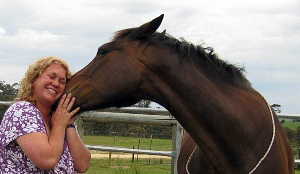 Using her practical, down to earth approach to teaching, Jenny will show you all the things you need to think about to achieve a relaxed, happy horse and a relaxed happy human. Have you ever wished you could talk to your animals? Have you ever wished you could just understand them more? Hear what they think? Know what they know? Support them better when they’re sick? Have you ever wished you could communicate with wild animals too? AND you’ll find us having a bit of fun with the money side of this intriguing little program. Our own calmness is the single biggest key behind every mutually positive training experience with horses and a Quiet Mind is the key to that calmness. It’s the foundation key behind excellent riding, empathetic groundwork, harmony in routine activities, perfect timing, clear thinking, calmness, confidence – and the list goes on. This is much, MUCH more than a meditation series. Happiness and healing with reiki. Reiki is so special, I can’t imagine life without it. I fall asleep with the relaxation of the energy running and wake up to the peace of it and after 24 years, I have so many beautiful stories, some of which I share here. Whenever anything goes wrong – whether it’s an accident or someone sick or whether they are tight and tense or even exhausted (including me!) – whether it’s a sick or injured animal or when I am overwhelmed – I never feel helpless. Fast Track to Brilliant Riding is the keystone of all our programs. 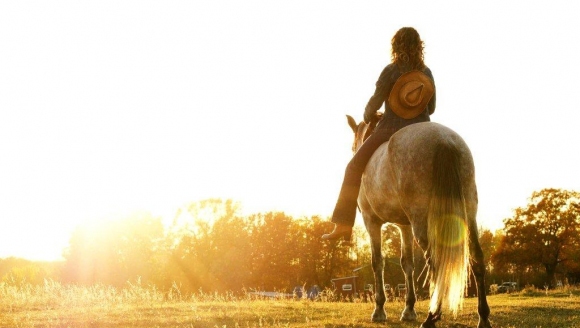 It’s the ultimate Fast Track to excellence in your riding and connection with your horse. 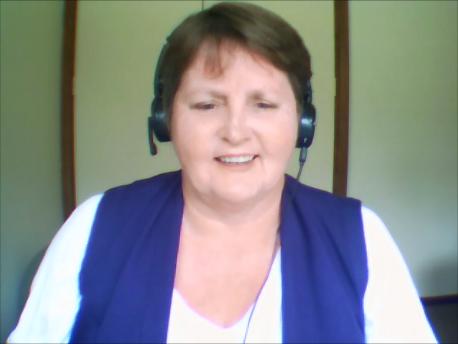 The 80 online audio and video lessons will replace years of training, clinics and lessons, and often times struggle. They will help you and your horse find a calmness, confidence and lovely sense of well being in all aspects of your lives. If Fast Track is too much at the moment, then this riding seat program extracted from Fast Track is about significantly improving your riding seat, security and stability in the saddle in a way that we call “magnetic” – because it’s so far beyond a good riding seat. When you’ve got it right you almost feel sucked into the saddle. Ease and Grace is a custom designed, private, on line clinic – at home with your own horse, at your own pace. 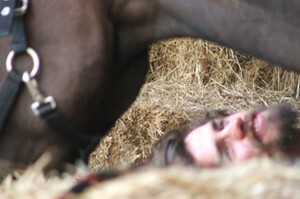 It’s a rich combination of beautiful horsemanship and empathetic riding, mental, emotional and physical healing for you and your horse, health and life coaching – all grounded through the grace of your horse. Horse Magic is a different kind of a custom designed Bucket List program – once in a life time for most people – that includes all our on line programs then adds a week long, live visit from me, to you and your horse AND 12 follow up video lessons. 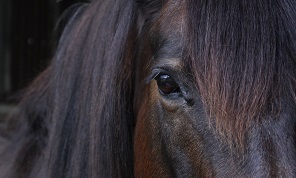 The Arthritis Recovery Program is for any horse person wishing to recover from arthritis AND gain access to the mutually healing gift from horses. Whilst we address 7 key areas in our 34 lesson Arthritis Recovery Program, your experience will be unique and appropriate to your situation and needs. AND to enrich your recovery experience we have included our 80 lesson Fast Track program – so that you can access the incredible and powerful gift of reciprocal healing between horse and human. 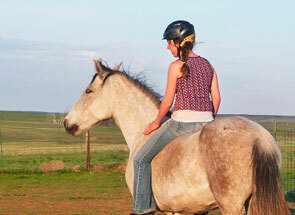 Jenny has never lost a horse to colic and never had a horse need colic surgery. This 100% success rate with colic has been achieved using powerful techniques that she has learned, developed and finetuned over more than 20 years of treating other people’s horses with colic. 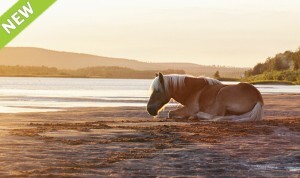 These very same techniques are contained in this Program and will give you the capability and calm confidence to help your horse in the event of a colic attack. Jenny and her team offer a wide range of expertise in horse training, health and wellbeing to support you in whatever you are hoping to achieve with your horse and in life. Our private lessons can be in person but are often (and very effectively) by distance. Fundamental to our approach is that the journey doesn’t need to be a struggle and that horses can help us and we can help our horses in escalating each other into transformational change. There’s a 3 day clinic being scheduled for mid January 2019. With all Jenny’s programs, it’s simple – do the work and get the results. And because Jenny is happy when you and your horse are happy, all her programs are backed by her “Love this program or get your money back” Guarantee. If you’re not sure where to start or which course is right for you, drop a line to Jenny and she’ll help you work it out.